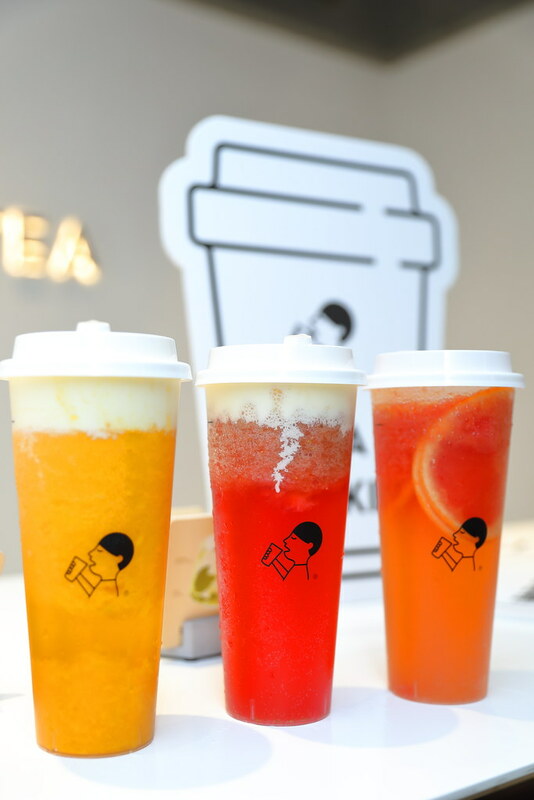 The popular China Number 1 contemporary tea connoisseur and the original inventor of cheezo tea HEYTEA has opened a second outlet in Clarke Quay. The new outlet reflects a lighthouse theme design inspired by the history of the maritime trade at Clarke Quay. 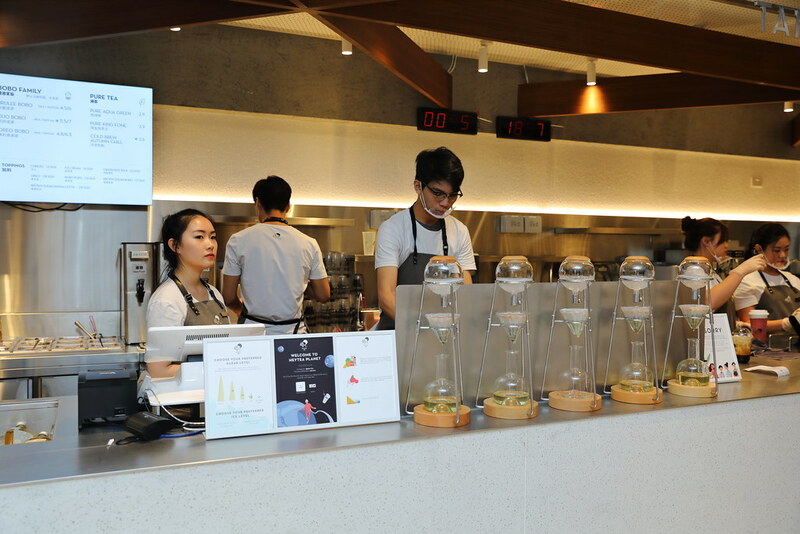 The latest outlet also comes with an in-store tea experience laboratory TEA GEEK BAR. 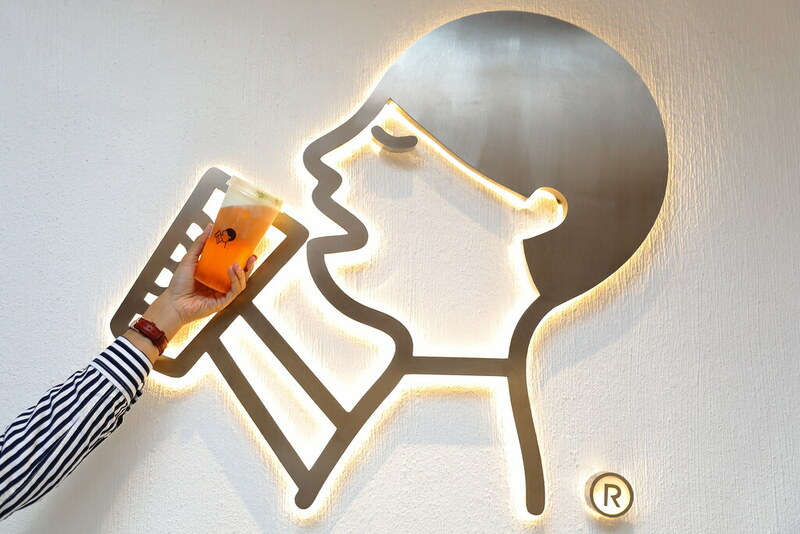 Tea-baristas at Tea Geek Bar, upgrades the tea drinking experience of Singaporeans with 6 brand new alcoholic tea creations inclusive of 4 Singapore exclusive: 2 alcoholic tea creation and 2 alcoholic ice creams. 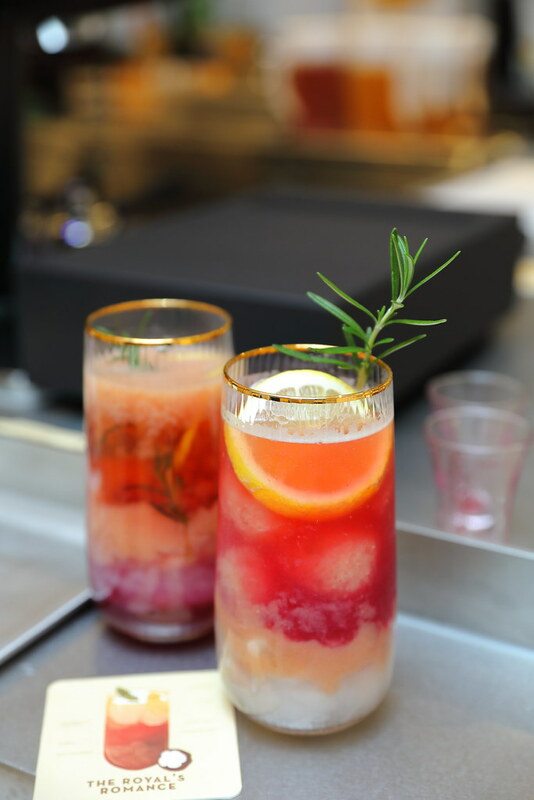 The 2 Singapore-exclusive alcoholic tea creations are The Royal's Romance and Scarlet's Heart. The Royal's Romance ($22) is a stellar combination of vodka and osmanthus oolong, laced with a sprig of thyme and coupled with a splash of zest from fresh lemons. The summer cocktail is light and refreshing. Perfect for the humid weather in Singapore. The other Singapore-exclusive alcoholic concoction is the Scarlet's Heart ($16). It is a refreshing watermelon-pink tipple topped off with a layer of fomay egg white. 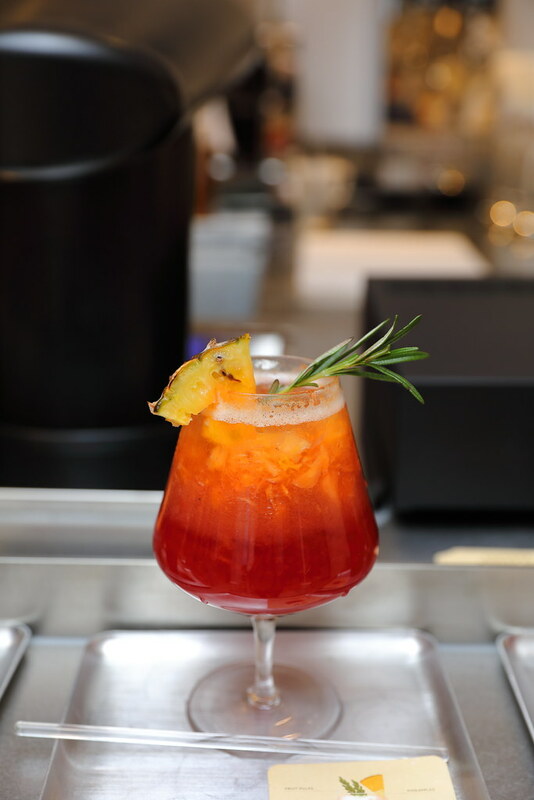 The combination of fresh fruits, pineapple pulps, cognac brandy and jasmine green tea give the drink a silky texture and sweet mellow flavours. The other 2 Singapore-exclusive alcoholic creations is the Singapore Sling ($5.50) and Guinness ($4.50) soft serve. 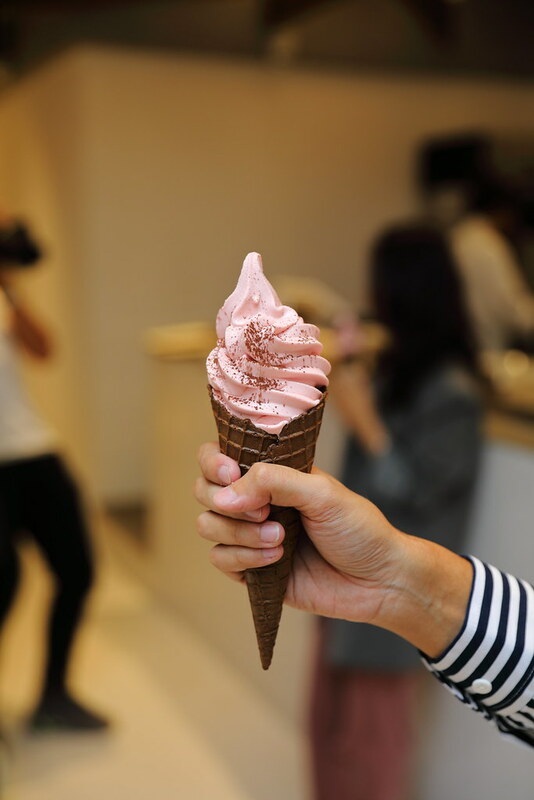 The iconic Singapore sling cocktail is transformed into an alluring blush-pink soft serve. As for the Guinness soft serve, it has a malty Guinness flavour that goes well with the refreshing oolong tea ice cream. 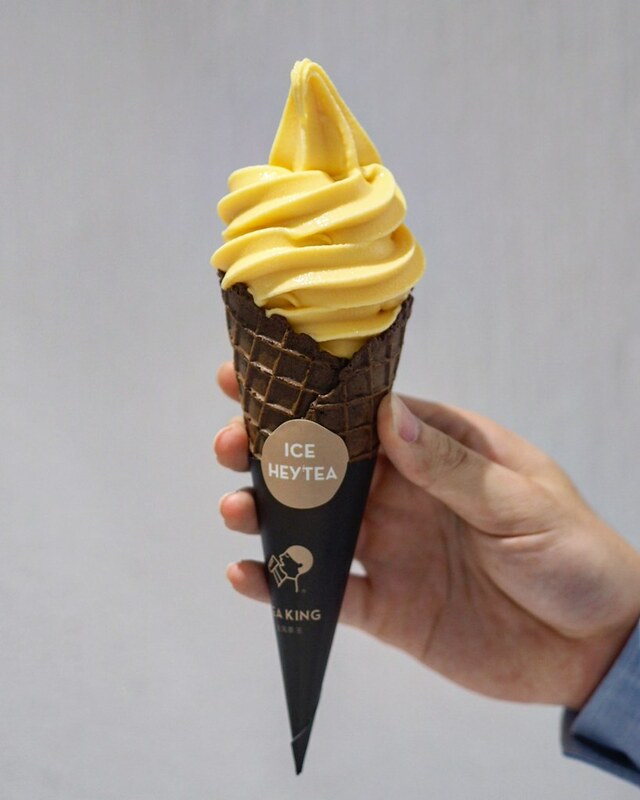 If you are not into alcohol, there is another Singapore-exclusive ice cream - Salted Egg Yolk Ice Cream ($4.80). It has a very subtle salted egg flavour infused in the creamy swirls. It is more sweet than savoury. Right across the Tea Geek Bar is where you can get your non-alcoholic tea drinks such as their popular Cheezo Teas, Fruity Cheezo Teas and Bobo. 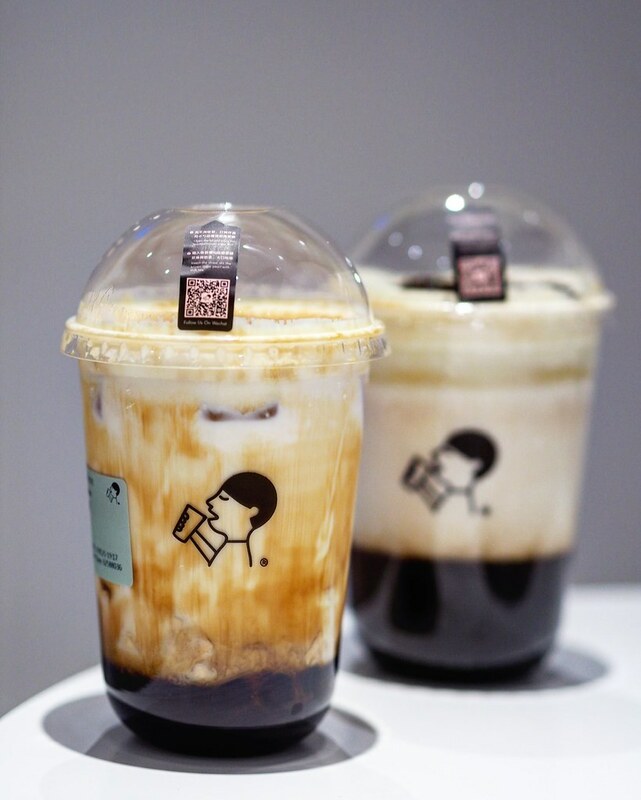 The Duo Bobo Milk ($5.5) has a fragrant brown sugar taste, soft chewy bobo pearls infused with sweetness from the brown sugar. The drink is capped with a creamy milk foam, sprinkled with brown sugar and torched to give it a smoky caramalized flavour. It is pretty enjoy. It will be perfect if the brown sugar aroma is stronger. Located amidst the bustling bar scene at Clarke Quay, unlike all other HEYTEA outlets, this outlet opens at 12pm and closes as late as 1am into the night to cater to all the party lovers. Its well-thought-out opening hours fits perfectly with the Singapore drinking culture, especially when it is located in Clarke Quay.